Our experienced Driving Instructor Scott would like to share some tips on the road. 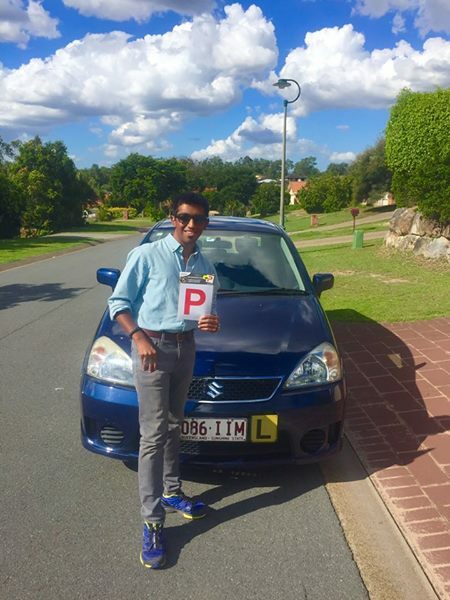 If you have further questions why not ask him by email greatwesterndrivingschool@outlook.com or call on 0412 913 775. Also we update our facebook page for more information. The distance between your car and the vehicle in front of you is 2 seconds. If the conditions are wet, the distance doubles,4 seconds. You measure this by picking a mark on the left hand side of the road, like a power pole. When the rear of the vehicle ahead of you goes past the mark count one thousand one, one thousand two, = 2 seconds. If the front of your vehicle passes the mark before you finish counting you are too close, so you will need to drop back a bit. generally the distance is 2 to 2.5 car lengths from the vehicle ahead of you when doing 60km. A lot of drivers follow too close to the vehicle in front of them. So when the vehicle in front brakes heavily there is almost always an accident and the vehicle who crashes into the back of another car is to blame. When can I turn right safely? When turning right at traffic lights only one vehicle should be out in the middle of the road, over the white line. All other vehicles should stay behind the white line. Once the vehicle in the middle of the road has moved off another vehicle can move out to the middle of the road. If the traffic light turns yellow that car in the middle of the road should move off when its safe to do so. While all other cars have stopped behind the line wait for the next green light. You must give way to all oncoming traffic including any vehicles turning left and pedestrians crossing the road. If its 2 lanes then you must give way to both lanes. So the pedestrian must not be on the road. At All ! Most of the median strips in town now have what looks like a yellow anti skid mat on them. The pedestrian must be on that mat before you move off. A Raining Day Driving Tip? with a bit of wet weather around just a quick reminder to drive to the conditions and make sure you increase your braking distance by at least double when the road surface is wet. Stay safe . 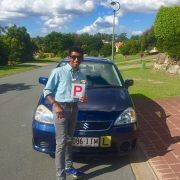 Scott has affordable driving lessons across Brisbane, if you are looking at getting your driving licence in QLD.